“Any dispute arising out of or in connection with the interpretation of the provisions of this Agreement or the performance of same, shall be submitted to the Lagos Court of Arbitration and shall be resolved under the Rules of the Lagos Court of Arbitration. The dispute shall be resolved by a sole arbitrator, except as otherwise agreed by the parties to be by a tribunal of three arbitrators. The appointment of the Arbitrator(s) shall be in accordance with the said Rules, and the Award/Decision of the arbitrator(s) shall be final and binding on the parties. 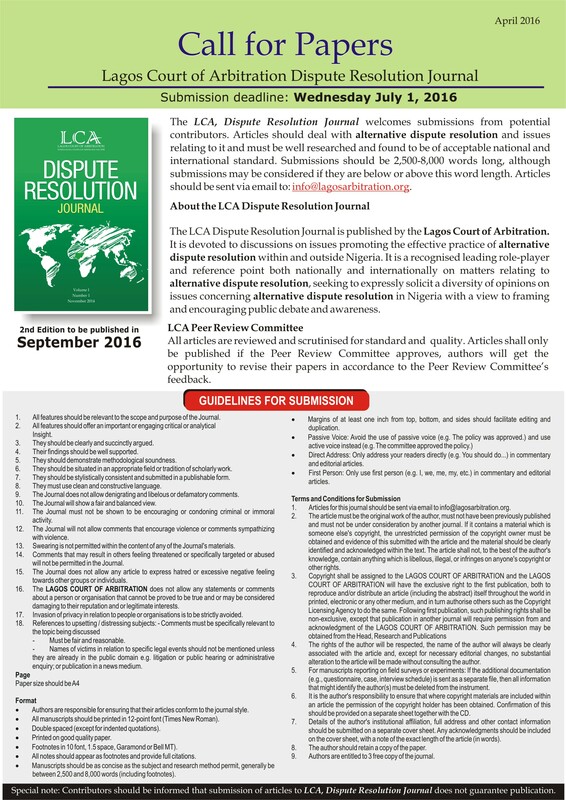 The seat of the arbitration shall be Lagos, Nigeria and the language to be used in the arbitral proceedings shall be English”.